May 28, 2018 at 12:10a.m. 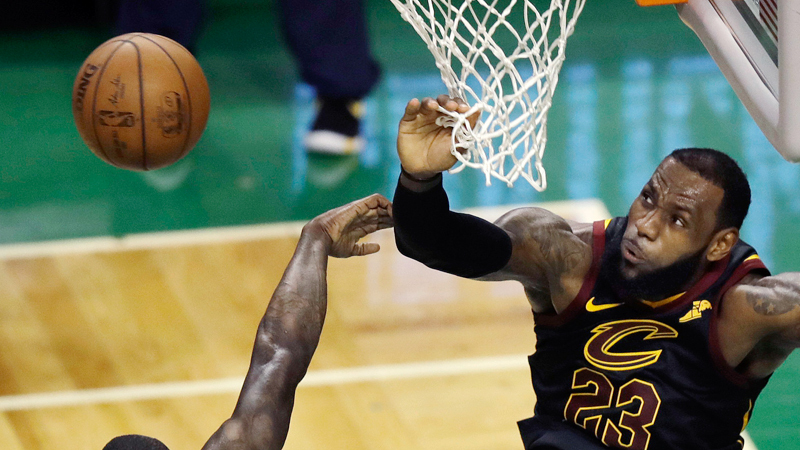 In the first close game of the series, the lowest-scoring and the first victory for a road team, James played all 48 minutes, scoring 12 of his points in the fourth quarter for his sixth straight Game 7 win. For the would-be free agent, the victory postponed a decision about his future until next month. Jayson Tatum scored 24 points, Al Horford had 17 and Marcus Morris added 14 points with 12 rebounds for the Celtics, who were looking to return to the NBA Finals for the first time since 2010. They had been a perfect 10-0 at home this postseason. May 24, 2018 12:05 a.m.
May 26, 2018 12:06 a.m.
May 20, 2017 12:08 a.m.